Lakkom waterfall is one of the stop by places en route to Chinnar Wildlife Sanctuary. 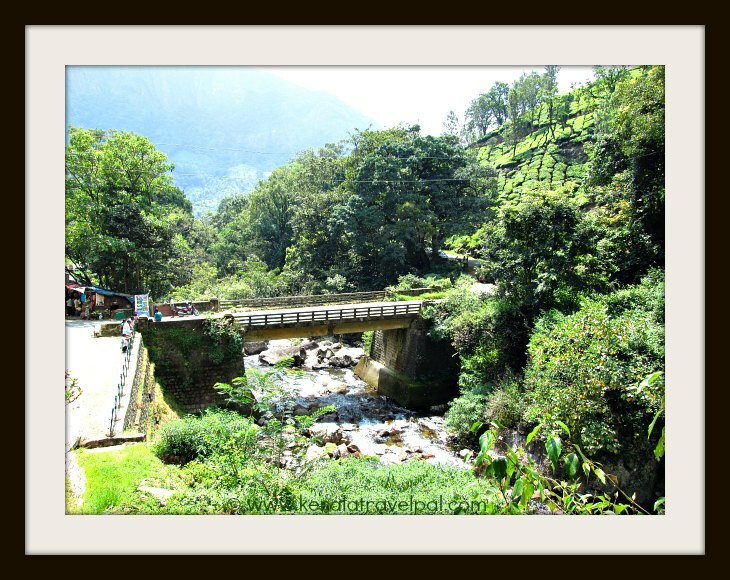 It is located near Udumalpett highway (NH 17), about 35 kms from Munnar. Lakkom, although not a big waterfall, is surrounded by rolling hills and tea gardens so gorgeous that the cascade is an added plus. Refreshing greenery itself is one of the main reasons why a growing number of travellers visit here. Families with kids have no difficulty to access. It only takes a short walk from the main road. The gentle flow of water at the bottom of the fall has several shallow areas ideal to wet the feet or take a dip. Great to sit on one of the larger boulders that project from the rocky bed where crystal clear water flows. The stream originates at Eravimala plateau where the National park is located. There are a couple of larger waterfalls prior to Lakkom, but they are deep in the forest and inaccessible. Even for Lakkom falls, visitors can only reach the bottom part. The top is not accessible. Eravikulam stream, past Lakkom swells and makes river Pambar. The scenic drive to the waterfall is also very enjoyable. Lakkom is just one of a string of attractions in the area. A couple of kms from the falls is Marayoor, a tourism destination famous for its natural sandal forests, ancient burial sites, jiggery making units etc. Kanthallor another village in the region is a hot bed of farm tourism, thanks to the cool climate and fertile soil. 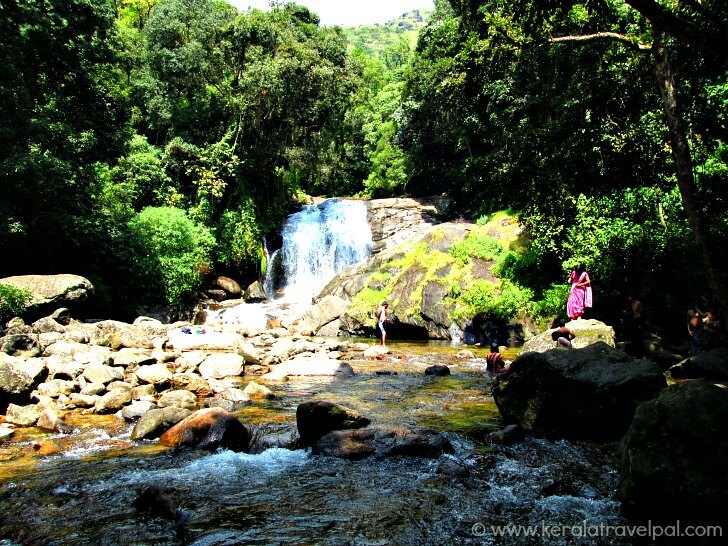 Chinnar, one of the important wildlife sanctuaries in Kerala, is about 10 kms from Lakkom waterfall. Well known for rare inhabitants such as Giant Grizzled Squirrels and Star Tortoises, Chinnar also has sizable population of reptiles. Nearest towns: Marayoor at 2 kms and Munnar at 35 kms. Bus Station: Munnar at 35 Kms. Taxi Hire: Munnar Town at 35 Kms. Railway Station: Aluva at 147 kms and Eranakulam South at 164 Kms. Food Options: Restaurants at Munnar. Limited choice at Marayoor. Accommodation Options: Lakkom is only a daytime picnic spot, so staying near the waterfall is not possible. If you want to stay at Chinnar Wildlife Sanctuary, they have a Guest House, Dorms, Tree house and a jungle cottage at Vysappara. All of them need booking in advance. Alternatively you could opt for farmstay, home stay or resort at Kanthalloor or Marayoor. Munnar has the best range of accommodation in the whole region. Best time to visit: Throughout the year except April and May. The waterfall dries up during that time. Nearby Attractions: Marayoor sandal forests, Dolmens, Kanthalloor, Chinnar Sanctuary are within 10 kms. Other tourist spots in Idukki include Periyar Tiger Reserve, Kumali, Munnar, Devikulam, Peerumedu, Eravikulam National Park, Mattuppetty, the Arch dam, Idukki wildlife sanctuary, Anamudi, Eco Point, Top Station, Waterfalls of Cheeyappara, Valara, Thommankuthu, Keezharkuthu, Attukal and Chellarkovil, Carmalagiri elephant walk, Anachal, Malankara reservoir, Mangala Devi Temple, Meenuli, Kundala dam and Kalvari Mount.